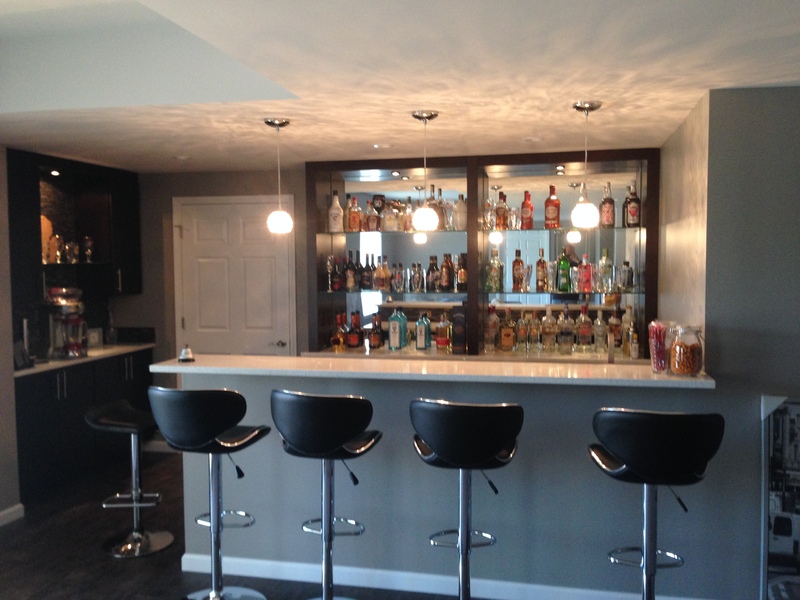 Village Glass Company has been serving South Lyon and the surrounding areas for over 40 years! We carry 1/8 and 1/4 clear mirror in stock. 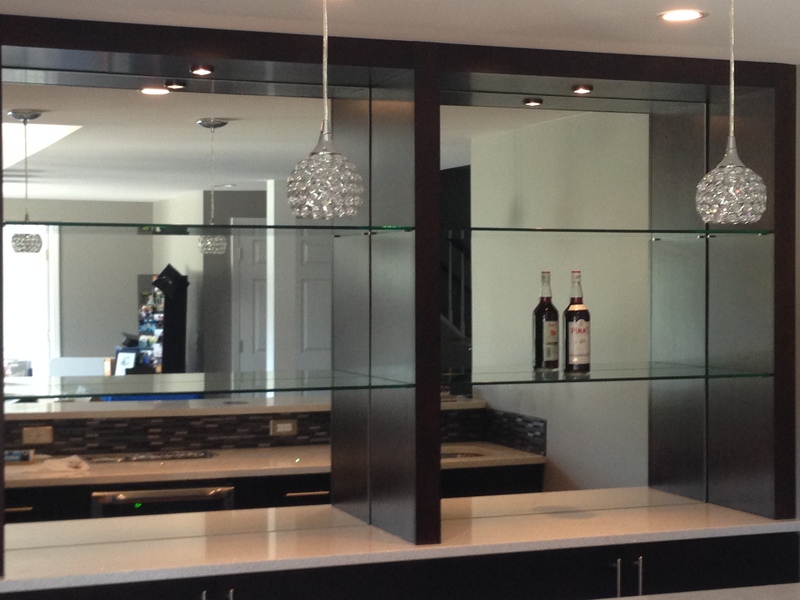 We work with you on exactly what custom mirrors you need for your project. 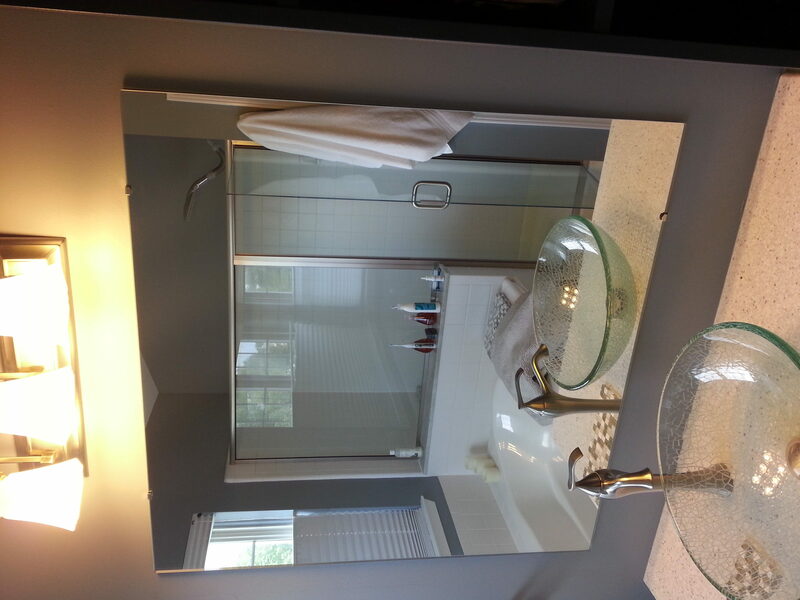 From small mirrors for picture frames to entire mirrored walls with holes for outlets, we can do it all! 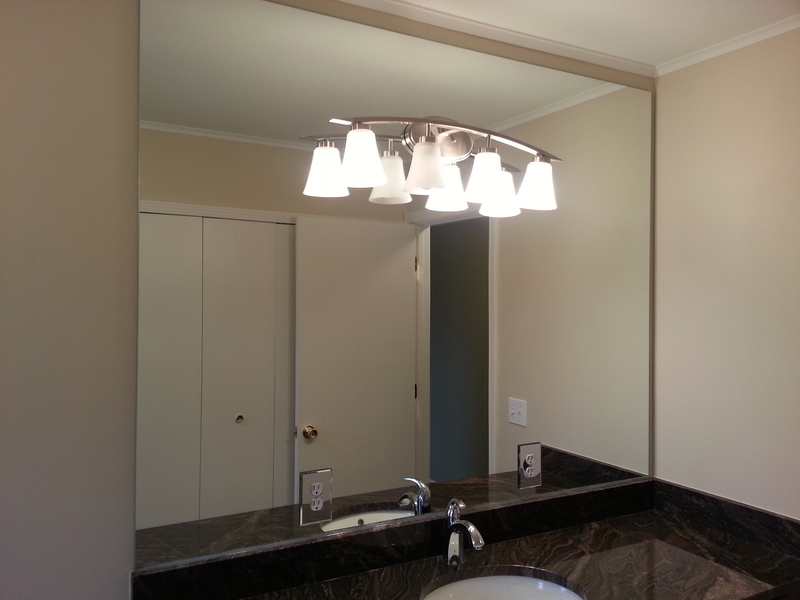 The first picture (left) is a bathroom mirror with a hole cut out for the light fixture. The second picture (right) is a smaller mirror attached to the wall with mirror clips at the top and bottom. Below are pictures of a mirrored wall behind a bar. The shelves in front are 3/8 clear tempered glass to ensure strength.